(Austin, Texas - Monday, January 25, 2016) - On Saturday, January 23, 2016, the Texas racing industry lost a longtime supporter and leader, former Texas Horsemen's Partnership Chairman and National Horsemen's Benevolent and Protective Association (NHBPA) President John O. Roark. 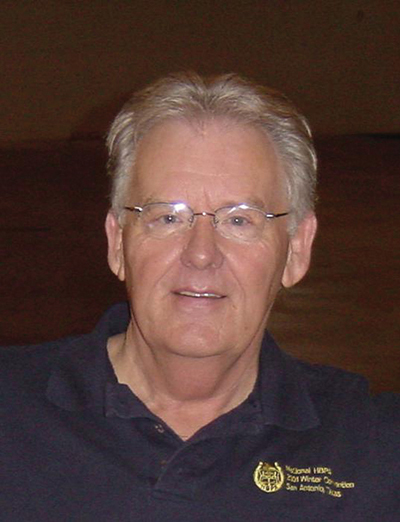 Roark, 75, passed surrounded by his family following a brief hospital stay. Roark was a native of Bug Tussle, Texas, where he grew up on a "cotton-pickin" farm. He earned an undergraduate degree from Southwestern University in Georgetown, Texas in 1962, graduated from South Texas College of Law four years later, and began his law career in 1967 in Houston working for Morgan and Dudensing, specializing in labor law. He became regional counsel for the National Maritime Union for the Texas Gulf Coast in 1971, a position he held while with at the firm of Musslewhite and Roark. In 1974, John, his wife Kaki, and their three children moved to Temple, Texas, where he maintained a law practice until the time of his death. Roark was a trial lawyer and was first board certified in personal injury trial law 1985. He was also certified by the National Board of Trial Advocacy in civil trial law. He was a Life Fellow of the Texas Bar Foundation and was been elected to Who’s Who in American Law. Roark had also served as a municipal court judge for the City of Nolanville, Texas since 2007. John became involved in Thoroughbred horse racing in the early 1980s, when he owned part of a training center behind Louisiana Downs. John campaigned horses all over the Midwest and South for over three decades. He became involved with Chaplain Les Riggs at Louisiana Downs and helped Chaplain Riggs to form Alcoholic Anonymous (AA) meetings. He also became involved in the Louisiana HBPA and its legal problems with the racetracks in Louisiana in 1987. Roark began racing horses in Texas in 1994. At the same time, he became involved with other Texas horsemen and was one of the founding members that formed the Texas Thoroughbred HBPA (TTHBPA). Roark was president of that organization on more than one occasion. While under John’s leadership, the TTHBPA was involved in negotiations with the Texas tracks and other industry organizations that resulted in comprehensive contracts and purse agreements raising the benefits for owners and trainers. He was also instrumental in the movement to consolidate all Texas purse accounts at one financial institution and centralize the horsemen's accounts at the tracks, thus increasing the convenience and benefits to all horsemen. He was also a strong leader in improving the assistance programs which benefit horsemen. John served as chairman of the Texas Horsemen's Partnership, which serves all horse breeds racing in Texas. Additionally, he served for five years as president and chairman of the board of directors of the National Horsemen’s Benevolent and Protective Association (NHBPA) from 2001 through 2006. In addition, he served on the board of the National Thoroughbred Racing Association (NTRA), where he served as co-chairman of NTRA Charities. Roark's leadership helped horsemen solve various disputes across the country. John was a certified lay-speaker in the United Methodist Church and served on the administrative board of his local church in Temple. He was a member of the executive board of the United Way of Bell County, Texas and served in several other fundraising capacities through his affiliation with the National HBPA and with the Backside Benevolence Fund. He also helped with the organization of the Jockey Challenge at Lone Star Park, which raised money for the Don MacBeth Memorial Jockey Fund. Additonally, Roark served for a period as general counsel to the Racetrack Chaplaincy of America. The highlight of Roark’s racehorse ownership came in the fall of 1988, when a savvy campaigner he owned in partnership, Ile de Jinsky, triumphed in the River City Handicap (Gr. III) at Churchill Downs in Louisville, Kentucky. According to Roark, "He won that race on a bowed tendon. He was a real honest horse. That's the only graded stakes race I've won, too." Roark once said of his longtime love of the horse racing industry, "You know, people don't get into this business to make money. I don't know how to describe it, actually, but horse racing has the power to draw. To me, the best people in the world are in the horse business. We all seem to have something in common, even if I can't exactly say what it is." John is survived by his wife, Kaki, and their three children, son Wayne Roark; son Allen Roark and his wife, Sarah Yarbrough Roark; and daughter Sharon Roark Walters and her husband, Lee Walters; as well as grandchildren Hannah, Christian, Max, John, and Jameson. A funeral service will be held at First United Methodist Church, 102 North 2nd Street, Temple, Texas 76501, at 1:00 p.m. on Saturday, January 30, 2016. The service will be followed by a reception in the Family Life Center that will include a slide show and an opportunity for people to share stories about John. There will not be visitation prior to the funeral service.